Basic summary: A comfortable slim-fitting multi-purpose athletic shirt with excellent stretch capacity as well as strong moisture wicking and odor control properties. 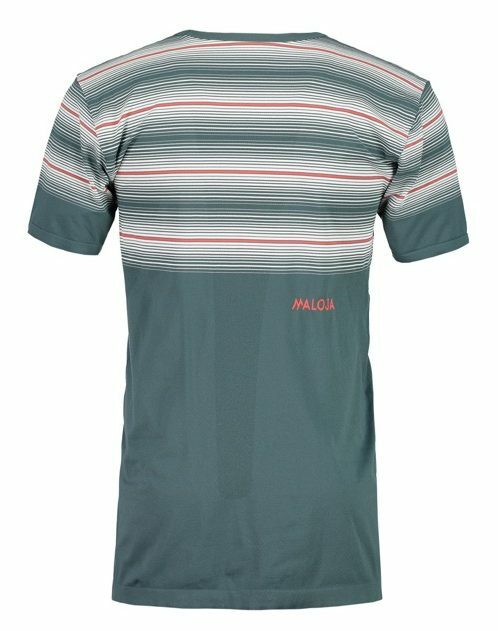 Maloja (pronounced “mah-low-yah”) is a German-based performance apparel company named for the alder woods of a high alpine valley in the Swiss Alps. Their material is sourced from small factories in the European Union, and many of their product names have German language origins that refer to people, places and things found in the Alps. This makes them sound odd to the American ear, but you definitely shouldn’t overlook this company’s products due to translational semantics. Case in point is the CloM; we have no idea what the name means, and the capital M at the end of all Maloja’s products is a strange convention – but we’ve been testing the shirt for several weeks, and it’s become one of our favorites this summer. Most obvious is its refreshing look, as the striped pattern is a welcome change from the ubiquitous solid color or contrasting panel looks on most running shirts. Performance elements of the CloM are solid, as the nylon/polyester fabric has very effective moisture wicking properties. The cut is slim, almost form fitting, but the fabric sits comfortably against the skin even in hot or wet conditions. The neck opening is noticeably lower than most running shirts, which helps keep you cool in the heat but also allows sun exposure lower on your neck than you’d expect. Four-way stretch properties in the fabric provide full range of motion through the shoulders, and it’s easy to pull the sleeves enough to wipe sweat off your brow. Best of all, the CloM is treated with Polygiene odor control so you can wear it for several days without making a stink. Maloja’s product offerings are broad but rather shallow; the website has links to separate product lines in MTB, road bike, eBike, hiking, climbing, and running categories, but many of the same items show up in multiple lines. It’s also difficult to distinguish between similar-looking items on the website based on the product descriptions. 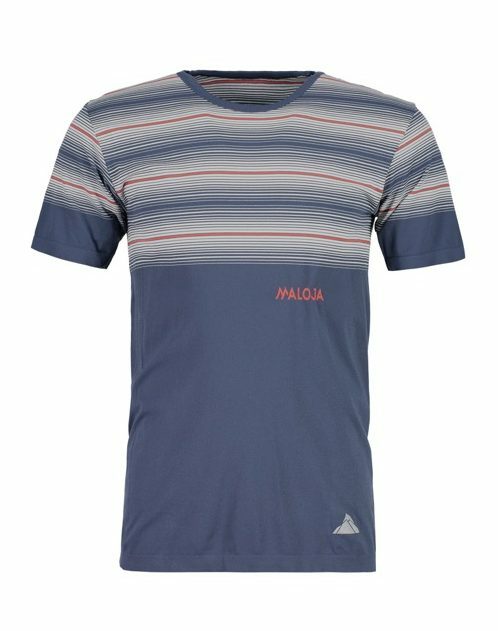 Maloja is currently available in select retailers split evenly across Canada and the United States, and is available online at www.malojaclothing.com. From our experience, they’re definitely worth a look, and we hope to see more offerings from this company in the future.